On thegame: The best series DiRT rally racing is back! In DiRT 3 awaits a hugenumber of cars, more tracks and tests than in any other rally race.More than 50 of these cars that participated in competitions for overfive decades of the sport. Become a professional racer on the roads andshow its capabilities in the mode of arrival, with obstacles! -The huge car park. 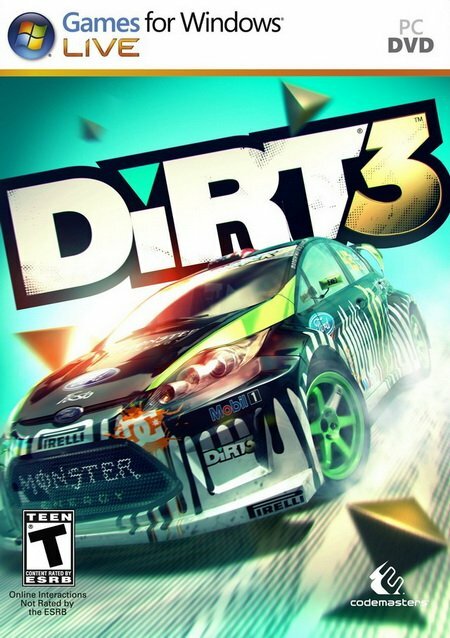 The game features the famous rally cars the last fewdecades of the twentieth century, which will impress any fan of racing. -Virtuoso steering. The new regime "Dzhimhana" allow everyone to showtheir skills in specially equipped areas, performing all sorts ofdizzying avtotryuki - Drift, ski jumping, "police U-turns." - And inthe rain and snow. Racers can test themselves by taking part incompetitions under difficult weather conditions, as well as at night. - Around the World. Athletes have to overcome many difficult trails rally championships in Europe, Africa, the United States. - Split screen. In the first series in the history, players can compete in split screen mode. - Keep the original files, patches, mods, etc.